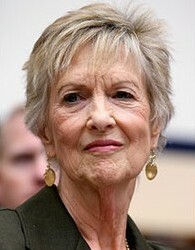 Fort Worth-based WPI Firefighters’ Fund was founded by Della Williams in 1999 to provide financial assistance to the families of firefighters killed or injured in the line of duty. The purpose of the Fund is to help bridge the gap between when tragedy strikes and before benefits kick in – a crucial period during which families, already struggling to cope with pain, uncertainty, and grief, are further burdened with financial difficulties. Since its founding, the WPI Firefighters’ Fund has provided more than $800,000 in grants to fire departments, injured or fallen firefighters. Ms. Williams has committed to supporting this non-profit by providing administrative expenses, physical office space, and general support. Thanks to the success of StoveTop FireStop®, a product her firm WilliamsRDM invented and manufactures, is just one of many ways the company gives back. President & CEO, WilliamsRDM, Inc.
Giggles and Grins Pediatric Dentistry, PLLC. Since its founding, the WPI Firefighters’ Fund has provided more than $800,000 in grants to fire departments, injured or fallen firefighters. We have become aware that our grant submission form was not functioning properly for some time. It is working now. If you have submitted or know of someone who has submitted an electronic grant submission in the last few weeks to please contact us by phone, 817-872-1500 or email, fundinfo@wpiff.org. We want to make sure no grant request goes unseen. We apologize for any inconvenience. WPI Firefighters’ Fund provides assistance to firefighters injured in the line of duty, families of fallen firefighters, and other items needed to protect their communities and personnel on a case by case basis according to need and available resources. For Grant Guidelines that may help you complete this application, call us at 817.870.8001. We disburse grant funds based on a majority vote of the current Board of Directors of the WPI Firefighters’ Fund. The following table summarizes WPIFF grants from 2001 to present. Join us in our effort to provide for the needs of our firefighters and their families by registering for an upcoming fundraising event, becoming a sponsor, volunteering your time – or starting a fundraiser of your own to benefit this cause. Whether you can give your time or contribute financially, on behalf of those who will be the beneficiaries of your kindness – we thank you. But, there are other ways to help. If you know know a firefighter – volunteer or paid – please make them aware of the WPIFF and encourage them to get to know us and to spread the word among the others on their team. Let them know we’re here – and that we thank them. Hurricane Harvey has devastated 50 counties at or near the Texas Gulf Coast. While first responders are helping the citizens in their cities and towns, many of their own homes, fire stations and equipment have sustained damage or been completely destroyed. WPIFF is partnering with the Texas Fire Chief ’s Association (TFCA) to raise capital for the rebuilding of homes for firefighters in the 50 counties effected by Hurricane Harvey. Donate to our Firefighting Rebuilding Fund today to help our Texas Firefighters. 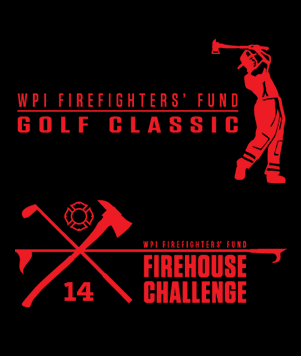 Please make checks out to "WPI Firefighters' Fund"
Call the main number for WilliamsRDM. We are able to take credit cards over the phone. WHAT INFORMATION DO WE COLLECT? – When you visit our site, you may provide us with two types of information: personal information you knowingly choose to disclose that is collected on an individual basis and website use information that is collected on an aggregate basis as you and others browse our website. EMAIL INFORMATION – If you choose to correspond with us through email, we may retain the content of your email messages with your email address and our responses for our records only. We do not sell any information. WEBSITE USE INFORMATION WE GATHER – Similar to other commercial websites, we utilize a standard technology called ‘cookies’ and web server logs to collect information about how our website is used. Information gathered through cookies and web server logs may include the date and time of visits, the pages viewed, and time spent on our website. 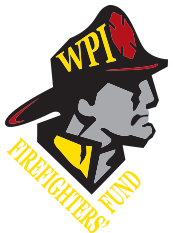 REFUND POLICY – The WPI Firefighters’ Fund is a 501(c)(3) non-profit entity established for the purpose of providing support to fire service, firefighters, and the families of fallen or injured firefighters. Once a contribution or donation has been processed and received, we do not issue refunds nor do we return contributions. Please take this into consideration when making a donation. We sincerely thank you for your generosity and support. Della Williams and her company, WilliamsRDM, support this non-profit via free office space, paying for all administrative expenses, and providing other general support. 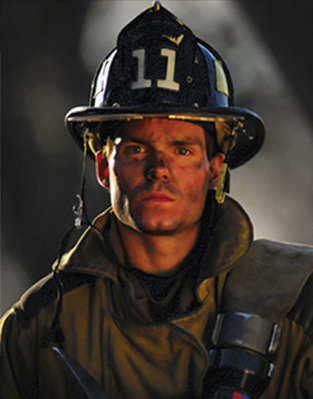 The WPI Firefighters’ Fund has no employees: all outreach is conducted by volunteers. This enables the fund to direct all donations directly to fire service personal, injured firefighters, and the families of fallen firefighters in need. Please read these Terms and Conditions (“Agreement”, “Terms and Conditions”) carefully before using http://www.williamsrdm.com/ (“the Site”) operated by WilliamsRDM (“us”, “we”, or “our”). This Agreement sets forth the legally binding terms and conditions for your use of the Site at http://www.williamsrdm.com/. The Site and its original content, features and functionality are owned by WilliamsRDM and are protected by international copyright, trademark, patent, trade secret and other intellectual property or proprietary rights laws. Our Site may contain links to third-party sites that are not owned or controlled by WilliamsRDM.